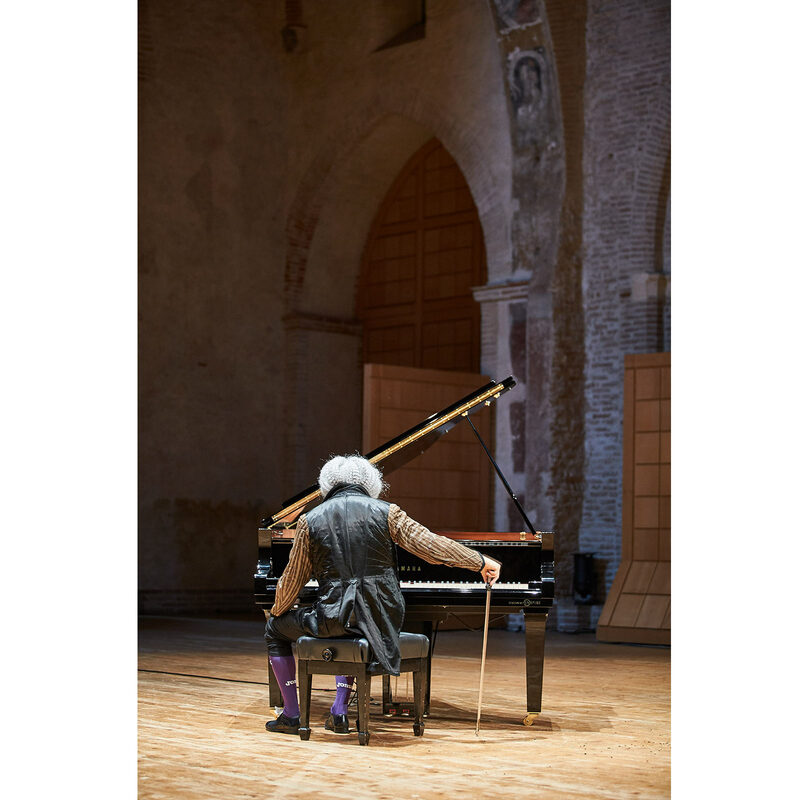 Absent Suites is a Pierre Rigal’s variation and a mechanical piano playing on its own and independently a piece by Johann Sebastian Bach. 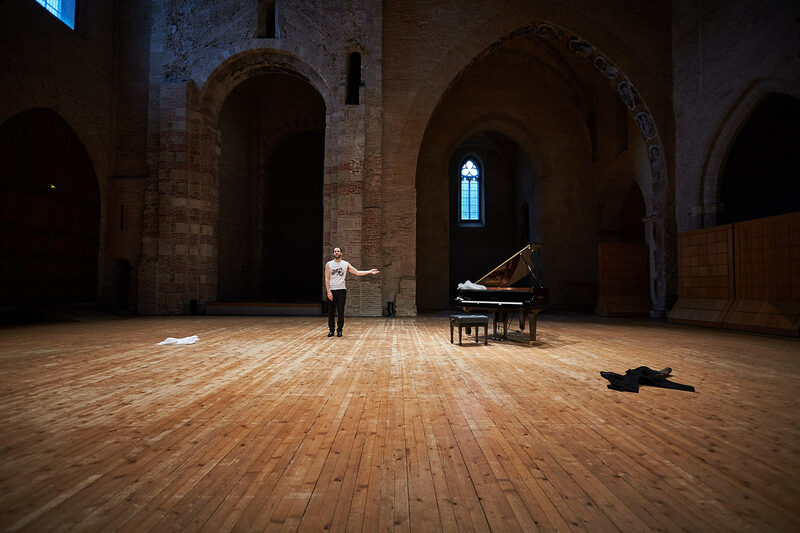 This setup is a distinctive way of carrying a thought towards the pianist, and by extension to-wards the composer, who by definition do not take part in this event. This absence becomes the imaginary and subjective base to a narration dedicated to music and its way of completely filling the life of men. This subjectivity also reveals little by little the secrets of this mysterious character, alone with a piano. On stage, a grand piano greets the audience who takes a seat inside the theatre. A man comes out from the wings. For a few moments he faces the object who also seems to be looking at him. The man dressed in a black tailcoat suit, turns towards the audience and salutes. Then he walks towards the piano. He sits on the stool and concentrates for a few seconds. He lifts and suspends his arms, his hands are above the keyboard. 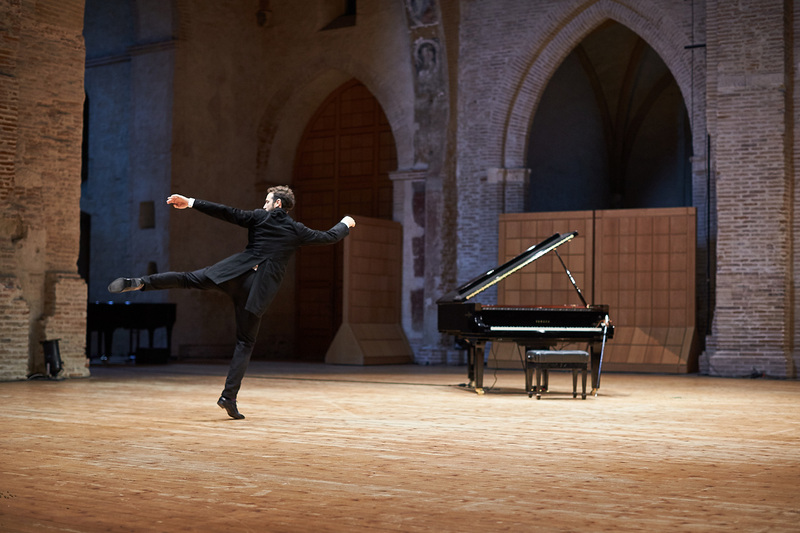 But before his fingers hit their target, the piano starts to play by itself. The black and white keys sink on their own, the hammers hit the strings. The piano plays alone a suite by Johann-Sebastian Bach. Pierre Rigal / 28th April 2017. 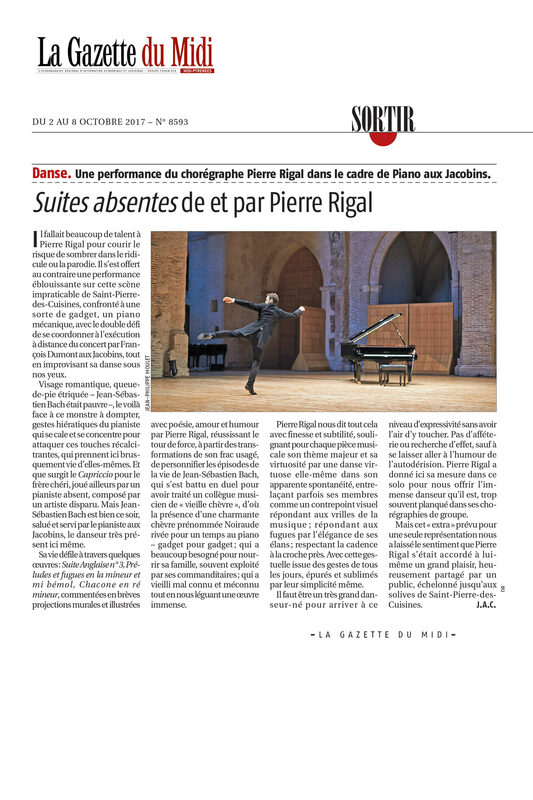 "Pierre Rigal nous dit tout cela avec finesse et subtilité, soulignant pour chaque pièce musicale son thème majeur et sa virtuosité par une danse virtuose elle-même dans son apparente spontanéité..."